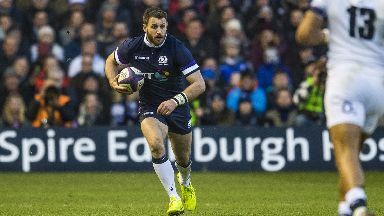 The Scotland captain said one particular decision frustrated him during the match. 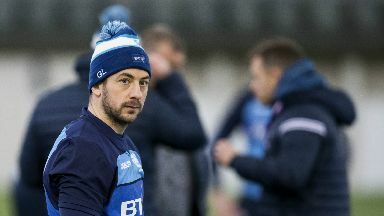 Scotland captain Greig Laidlaw defended his criticism of match referee Romain Poite after defeat to Ireland at Murrayfield. 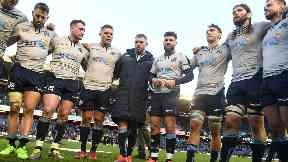 The scrum half claimed he did not see "eye to eye" with the French official during a post-match interview, and later emphasised his disappointment with Poite's performance. 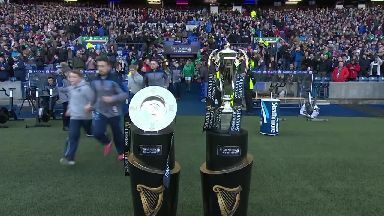 Laidlaw said: "There was one in particular. We launched off a lineout in the second half and Sean O'Brien sort of 'reefed' the ball. "I just thought Romain Poite was right there and he gave a knock-on against us when it was clearly not a knock-on. "You can understand, with the game going the way it was going, how we get frustrated. "Test matches turn on small points at that again just released the pressure valve. It was a big call in the match in my eyes and clearly from a Scottish point of view we were disappointed with it. "[It is difficult to recover from]. Against the second best ranked team in the world, of course it is. "Ireland were clinical - when they got opportunities they scored tries. "You have to tip your hat to them and say well done." Head coach Gregor Townsend said he understood his captain's comments. Townsend said: "I think 9s always get frustrated when they can't get the ball away quickly and cleanly. They feel they are not getting their rewards when [opposition] players have their hands on the ball. "You can understand his frustration but it is a tough game to referee. 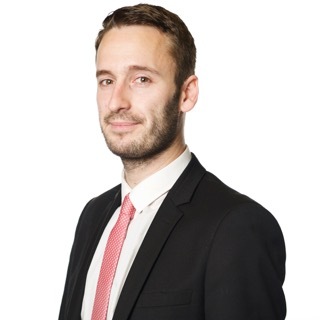 "Romain is an outstanding referee and today was a proper test match with teams - the way they defend and the way they compete - is difficult for referees to manage." Scotland were right in the match at half time as they trailed by just two points, but a second half littered with errors allowed the Irish to squeeze out their hosts and claim victory 22-13. Asked where the match was won and lost, Townsend said: "Our execution in the second half. 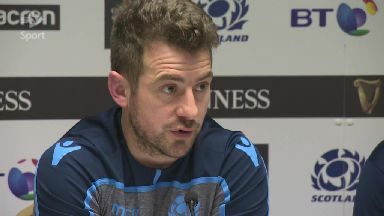 "We played very well in the first half and we probably could have got one try more and were frustrated in the way we gifted a try with our error. "The execution of our set piece plays to get us into our game and to put more pressure on Ireland just didn't happen."